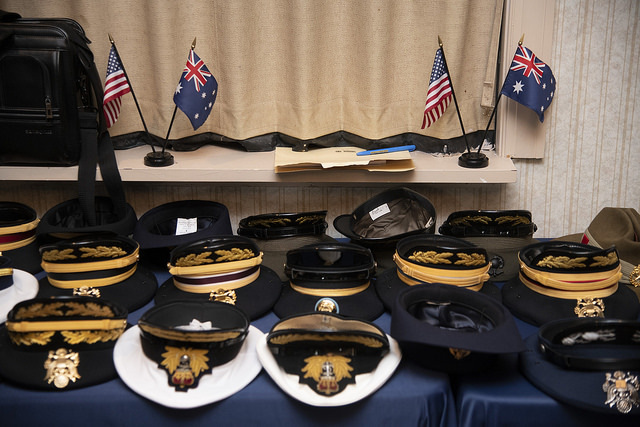 The US–Australia alliance focuses too much on its past and too little on its future. That may seem sacrilegious, particularly amid the ongoing celebrations of 100 years of mateship. We should certainly honour the service of our men and women over the last century. But sentimentality is no replacement for level-headed rationality. If the alliance is to endure and flourish, then it’s long past time that we dealt with some hard truths . If all were well in the US–Australia alliance, there would be little need for difficult discussions. But under the surface, differences are emerging over two issues: Donald Trump and China. Polling  shows that Australians are worried about the Trump administration’s approach to trade and alliances. The US withdrawal from the Trans-Pacific Partnership was a tough blow to Australia, which saw the trade deal as a way of ensuring continued US engagement and leadership in Asia. Also concerning are Trump’s transactional nature and his America First approach, which threaten to undermine longstanding US alliances in both Europe and Asia. Americans, for their part, are worried that Australia and the US are diverging on China. Few in the US pay close attention to the discussion in Australia, so the comments of Bob Carr, Paul Keating, Geoff Raby, Hugh White, and others often grab Americans’ attention. There are numerous important voices in the Australian debate, but the open questioning of the US alliance leads to uncomfortable speculation about whether China’s economic weight is pulling Australia into its orbit. So, both Americans and Australians are quietly asking tough questions about the alliance. To date, the discussions have occurred mainly behind closed doors, but it’s time to have them more directly and openly. As with any relationship, avoiding difficult discussions doesn’t make tough issues go away. Instead, problems tend to fester, creating bigger difficulties down the line. Former US Secretary of State George Shultz famously said  of the problems that arise among allies: ‘The way to keep weeds from overwhelming you is to deal with them constantly and in their early stages.’ Unfortunately, we are in need of some alliance gardening. The primary cause is a lack of attention to the alliance from leaders in the US. Australia may be distant from the United States geographically, but that’s not why Canberra is often overlooked in Washington. Instead, superficial closeness is our problem; cultural familiarity and historical affinity have bred complacency. One can throw a stone in Washington and find a specialist on American alliances. Experts on Japan, South Korea and NATO are abundant. But American experts on Australia are few and far between. Why? Funding limitations certainly play a part. But I suspect there’s a deeper reason: most Americans think there’s little need to study our alliance with Australia. Unfortunately, the extended celebration of 100 years of mateship plays directly into this predisposition. We are right to honour and remember our shared struggles. But to many Americans, Australia’s enduring reliability suggests that nothing can separate us. With so many alliance challenges, some US leaders infer that the alliance with Australia is one that will endure without careful tending (or an ambassador). How might we strengthen the US–Australia alliance and embrace a forward-looking agenda? One potential option is to establish a joint commission on the alliance. Staffed by respected experts and leaders of various political affiliations from both countries, such a commission could fortify the alliance’s foundations. Some will say that the time isn’t right for such a commission. But one need look no further than the US–Japan alliance to understand why that’s incorrect. After the Cold War, political and economic tensions were mounting between the United States and Japan. The alliance was adrift. Yet steady leadership by respected experts (such as the Armitage–Nye reports ) helped to hold the relationship together and provide the vision and agenda that ultimately renewed the alliance. The US and Australia should embrace this lesson and establish a non-government commission on the alliance. Such an initiative would have three virtues. First, a commission would allow for direct discussion of our differences. Track 1 or 1.5 talks make it hard to publicly address Australian concerns about the Trump administration’s approach. But ignoring the Trump factor won’t make it go away. We need Track 2 dialogues to fortify our shared long-term interests against short-term fluctuations. Second, a commission could make the case for the alliance. Critics of the US make fair points, but it’s time to fight back against dangerous narratives on the alliance. America is not finished. And China is not faultless. The alliance’s critics have been vocal, so its supporters must unite to make a more compelling case for the enduring logic of the US–Australia alliance. Third, a commission could identify specific next steps. We talk too much about the alliance and do too little. Deploying 2,500 marines to Darwin was to be a first step, not an unreachable goal. There’s no shortage of ideas for the alliance. So let’s set forth some difficult but important objectives and gather the focus and energy to accomplish an ambitious agenda. We should use this commemoration to recommit ourselves to the US–Australia alliance. Not to remembering its past, but to creating its future. That is, after all, what the men and women who together served our countries would have wanted. Zack Cooper is a research fellow at the American Enterprise Institute in Washington DC. Image courtesy of Flickr user Chairman of the Joint Chiefs of Staff.